Micro Mages pre-orders are available again! New NES game. Platform/Adventure. 1-4 Players. 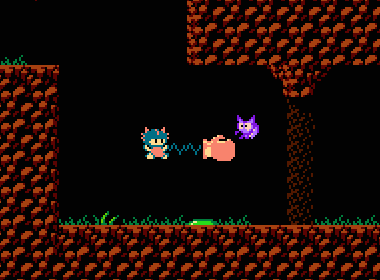 Micro Mages is an original homebrew game for the NES console. Play solo or with up to 4 players simultaneously. Fight to get the best score or cooperate to overcome challenging sections. Super Bat Puncher is an original homebrew game for the NES console. 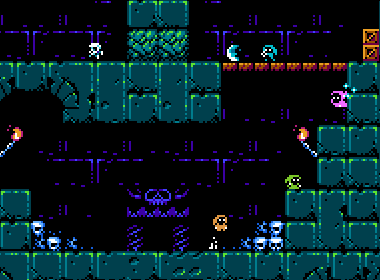 Explore the dark caverns of a mysterious planet and find out about the plague that threatens Earth. We are a two-man team bouncing around Berlin, dedicated to bringing new games to the NES: Julius Riecke does the programming and sound while Nicolas Bétoux creates graphics and levels. Spending nights and weekends on projects powered by sushi and pizza.